Spacious floor plans and designer finishes distinguish M2 Apartments from other communities in Denver, Colorado. We let you choose from 13 different layouts of one, two, and three bedroom apartments so you’re sure to find the right fit. 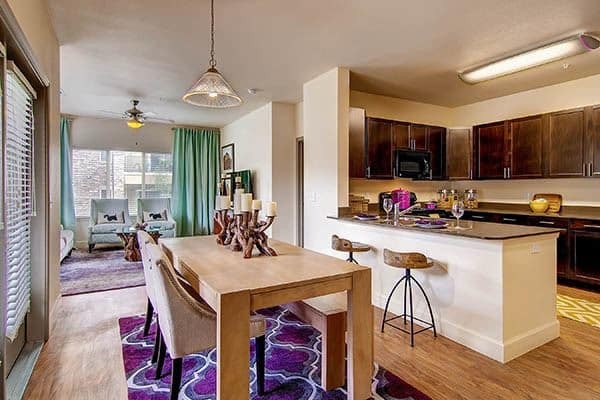 Our floor plans offer you a modern take on urban sophistication. 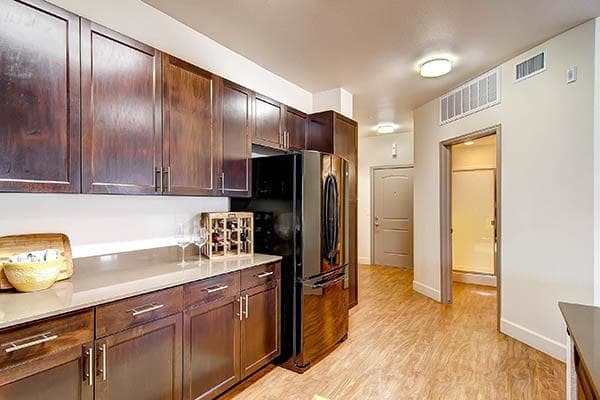 Equipped with an excellent array of amenities and featuring gourmet kitchens with French-door refrigerators in select units, this is where you come to relax and unwind. Are you ready to experience luxury? Give us a call. M2 Apartments is here to welcome you to a better way of living. The apartments for rent at M2 are crafted to appeal to those who appreciate a more refined living environment. It starts in the kitchen, where recessed sinks and granite or quartz countertops greet you upon entry. Chic wood-grain flooring and a black appliance package tie it all together for an even more polished look.